Julia Gillard is finished as Australian prime minister, according to senior Labor Party figures who’ve turned their attention to identifying her successor. 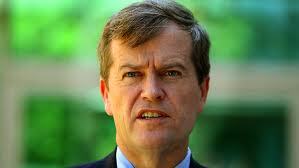 The smart money is on Bill Shorten, the former trade union leader who is Assistant Treasurer in Gillard’s government. The only evident impediment to toppling Gillard is the threat from the independents who keep her in government to pull the rug out from under Labor if it removes her. But Labor power brokers are rapidly coming to the view that they should call the independents’ bluff, in the sure knowledge that they too would be destroyed in any election held now. They’re increasingly prepared to punt that self interest will keep the independents on side and give a new leader two years before the next election is due to rebuild Labor’s popular support from its current record lows. Of course, Gillard and her ministers will deny all this publicly. But a senior Labor Party figure has told Grubsheet that the tide has turned irrevocably against Gillard in the past 48 hours and her days are numbered. The ground has shifted because of mounting voter anger over the government’s plan to introduce a carbon tax next July and, in particular, what’s seen as the terminal curse arising from the electorate’s deep-rooted perception that it was lied to by Gillard when she promised not to introduce such a tax on election eve last year. Labor figures are now conceding that Gillard would have been soundly beaten by opposition leader Tony Abbott had she endorsed a carbon tax before polling day. They were waiting to see how the electorate greeted last week’s announcement of the details of the tax on big polluters and the accompanying sweeteners to compensate ordinary householders. That verdict is now in and it’s a disaster for the government. Its support has fallen even further – down to 26 per cent according to the first opinion poll taken since the announcement – and that collapse is also showing up in Labor’s internal polling. Key party figures have now concluded that Gillard is doomed, and Labor needs to jettison her as soon as possible to have any chance of rebuilding its fortunes. Senior members of the government, along with a panicked back bench, have now firmly turned their attention towards solving the Gillard problem. Yes, there’s a risk that yet another leadership change will hurt the party by reinforcing the notion that the Labor leadership is a revolving door, totally hostage to the opinion polls. Within Labor, this is called “the New South Wales disease”, after a succession of leadership changes there saw a tired and corrupt government reduced to a rump in the parliament in the last state election. Yet such is the disillusionment with Gillard that MPs are coming to realise that switching jockeys is their only hope, and the sooner the better. This school of thought has it that felling Gillard now will give her successor a clear run of two years to establish himself and have at least some hope of reversing the tsunami of community support for the Liberal-National Party Coalition. Labor foolishly believed that Coalition leader Tony Abbott was unelectable. But Abbott – a fiercely effective opponent of the carbon tax – has streaked eleven points ahead of Gillard as preferred prime minister in the latest opinion poll. Labor now faces a nightmare scenario – that Abbott will not just win the next election, whenever it’s held, but Labor will be so badly beaten that it will be out of office for a generation and may, indeed, cease to be a significant force in Australian politics at all. What to do? Well, here’s the startling scenario outlined to Grubsheet by our source – a Labor “grandee” with close links to all of the main players. Gillard is a dead woman walking and according to this source, many credible figures in the party are now openly conceding the fact. This includes traditional power brokers and number crunchers like former national secretary, Karl Bitar, and former Hawke and Keating minister, Graham Richardson, who is openly telling people that “the government is f***ed”. Labor is now privately canvassing alternatives. And while there’s some support for former ACTU secretary Greg Combet – Gillard’s Minister for Climate Change – the mantle is falling on the other former senior union boss in Gillard’s cabinet – Bill Shorten, the Assistant Treasurer. 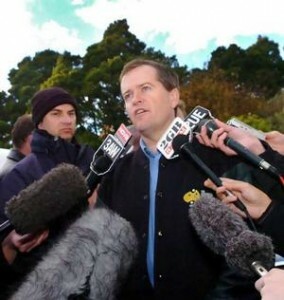 Shorten shot to national fame five years ago when – as national secretary of the Australian Workers Union – he became the spokesman for the families of Tasmanian miners trapped in the Beaconsfield mine disaster. He’s credible, articulate and has some powerful connections beyond Labor and the union movement. 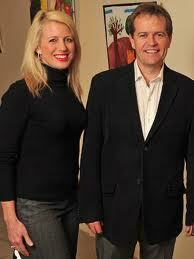 Shorten is married to Chloe Bryce, the daughter of Governor-General Quentin Bryce. And it’s not lost on Labor that the couple and their 18-month old daughter, Clementine, would present a sharply more voter-friendly image as the nation’s first family compared to Julia Gillard and “First Bloke” Tim Mathieson – her live-in lover at The Lodge. Picture it. Bill, Chloe and baby Clemmie popping down for Sunday lunch with Mum at Yarralumla. Ah. Being Labor, of course, it’s the politics that really count. And what’s decisively in Shorten’s favour is his rock-solid support base in the AWU, the most powerful union in the Labor Right faction of the party. The AWU makes and breaks ministerial careers at will – its Queensland national president Bill Ludwig arguably Labor’s most powerful figure, to whom senior politicians such as Treasurer Wayne Swan owe their entire careers. So Bill Shorten is both “connected” – in Mafia parlance – and user friendly. The bookies in Queensland already have him as odds-on favourite to replace Gillard and Labor’s elder statesmen like Bob Hawke and Kim Beazley long ago identified him as a potential future prime minister. And he has the all important killer instinct to both succeed in politics and survive in Labor ranks, a key figure in the political assassination of former prime minister, Kevin Rudd, and the installation of Gillard as his successor. 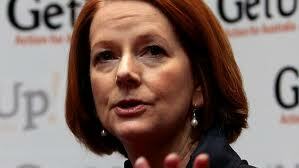 Will Shorten actively move against Gillard? Only the coming days and weeks will tell. But one thing is certain. The draft is well and truly on, with senior Labor figures – including some of Gillard’s own ministers – convinced that the electorate has stopped listening to her and her chances of a political resurrection are zero. The one wild card is Kevin Rudd, who makes no secret of wanting to make a comeback. The chances of that are also said to be zero, such is the personal animosity towards him in Labor’s ranks. But if the party calls the bluff of the independents and removes Gillard and installs Shorten, what then? Would Rudd seek to bring the whole house of cards down by resigning his Queensland seat and prompting a bye-election that the polls show Labor would surely lose? Here again, the growing mood is to call Rudd’s bluff, to dare him to enter history as a Labor “Rat”, who brought down a government and made Tony Abbott prime minister in an act of petulant personal revenge. Some Labor figures now perceive the entire future of the party to be at risk, as its traditional “aspirational working class” constituency turns to Abbott and “left leaning progressives” in the cities turn to the “save-the-planet-at-all costs” Greens. Certainly, there’s a growing sense that the Greens – with whom Labor entered into an uneasy coalition to govern – are the real enemy, more dangerous even than Abbott as they steadily erode Labor’s primary vote. So here’s another scenario. That if the independents make good on their promise of “Julia or dust” and sacrifice themselves by returning the country to the polls, Labor will turn on the Greens. They’ll do a preference deal with the Liberal-National Coalition to put the Greens last on ballot papers across the country and try to destroy them as a mainstream party altogether. Sound extreme? Well, some senior Labor figures now see this as the party’s only hope of staying alive in any form at all to continue its proud record of governing Australia stretching back more than a century. “May you live in interesting times”, goes the old Chinese saying. Too right. Postscript: As if to reinforce the clear signs of panic in government ranks, the Prime Minister has said that News Limited – the local arm of Rupert Murdoch’s global empire – has some “hard questions to answer” in the light of the phone hacking scandal in Britain. But having said that, she declined to identify what those “hard questions” are. Have a look at the comments section of this story from The Australian to see just how much Gillard is on the nose with ordinary voters. Indi, you’re right, of course, but you could say the same about Simon Crean and Malcolm Turnbull – both former party leaders who’ve had to eat the proverbial sandwich and press on. History shows that Labor loves winners and dumps losers, so if you’re a loser, too bad. Execution is a historical certainty. Re the stirring: everything I’ve written here is from other mouths and one big kahuna in particular. It may,indeed, turn out to be wrong, such is the volatility of politics and the turmoil in Labor at the moment. But does it really have the stomach for two more years of Julia? You’d have to be wildly optimistic to put money on it. In my experience, the “progressive left” are terrified of Tony Abbott. They keep saying he won’t make it and that Malcolm Turnbull will eventually mount a comeback. He won’t because Turnbull is the Liberal’s Rudd. They just don’t like him and worse, think he’s in the wrong party. So as John Howard says, it’s Abbott all the way to polling day. The bind for Labor is that if it doesn’t get rid of Gillard, it’s a sure bet that Abbott will be PM and perhaps for a generation, so badly beaten will Labor be if their miserable polling continues. You’ll recall that the “progressive left” hated John Howard and scoffed at his chances of ever being PM. They were as wrong then as i think they are now. The latest polls show Abbott streaking ahead as preferred PM. And that’s not opinion but fact. I don’t agree with your politics but I do agree with your prognosis on Gillard. I agree with you on this, julias time in the top office has to be drawing near and I agree that if she stayed on labor would be annihilated. i’m a Liberal supporter, but you know I like the ‘look’ of Bill more than Julia. What my thoughts would be when he opens his mouth, well i’ll reserve judgement until then. Graham, I like your analysis but there is another possibility that you have missed. Gillard may threaten to quit her seat if challenged causing a fatal by-election. Would the Labor machine be prepared to call her bluff? Interesting read. Strangely, I have heard basically the identical story from a Coalition member of the House of reps. Apparently it quite common knowledge in the Halls of Parliment. I agree that NOW is the time to install Shorten (short by name and short by nature) with a clear run for 2 years because the independents won’t pull the rug out because they don’t want to give up the perks and privileges they received for backing Gillard! Aaaahh, the smell of the ministerial leather is a strong aphrodisiac!! !